Jensen Elementary 5th Grade student, Ana Simms, was recently inspired when Urbandale Police K9 Officer Weih brought Luke, UPD’s K9, to an assembly. Ana, a student in Mr. Pettit’s Classroom, decided to research K9 Officers and completed a report on the topic. Ana found her research to be so interesting that she has hopes of one day becoming a K9 Officer herself. 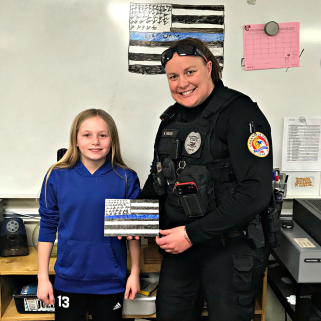 Mr. Pettit invited Officer Weih to stop by his classroom so Ana could spend some time with Officer Weih and give Officer Weih the gift she made for her. It was certainly an experience that both Officer Weih and Ana will remember for years to come. 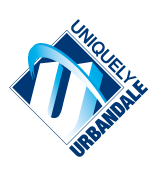 Urbandale Community School District extends a heartfelt ‘thank you’ to our Urbandale Police Department for all of the many ways you support our students.